The United States’ National POW/MIA Recognition Day is traditionally observed across the nation on the third Friday of September each year. 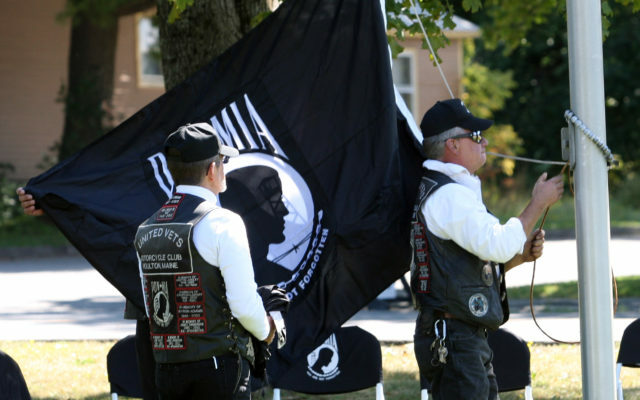 HOULTON, Maine — The United States’ National POW/MIA Recognition Day is traditionally observed across the nation on the third Friday of September each year. 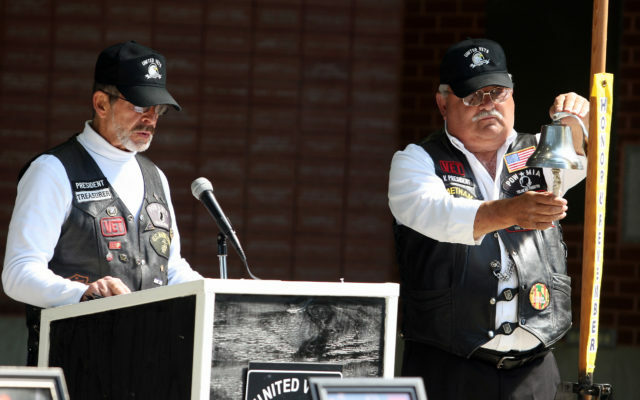 In Houlton, however, the United Veterans Motorcycle Club chose to commemorate the day on Sunday, Sept. 9, with a service in Houlton’s Monument Park. A small group of individuals turned out to pay their respects during a solemn ceremony. 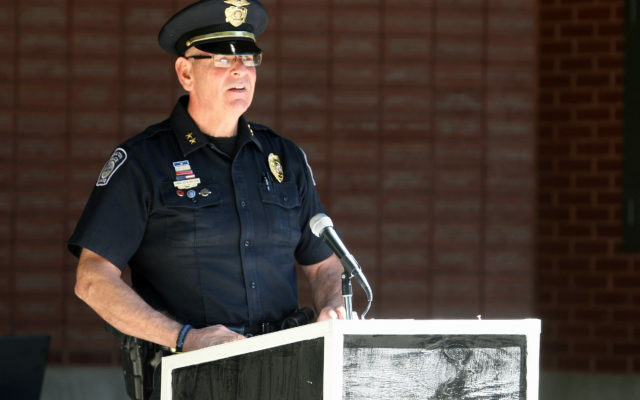 Houlton Police Chief Tim DeLuca served as the guest speaker for the event. He encouraged those in attendance to pause for a moment and remember what it is others have done to afford the comforts of today’s society as he read a passage from the late U.S. Sen. John McCain, who himself was a prisoner of war. Following the raising of a new POW flag and a gun salute, Lindsey next turned his attention to a small table located in front of the podium, which was set up with a chair in recognition of the POW/MIA soldiers. The tradition of setting a table in honor of prisoners of war and missing comrades has been in place since the end of the Vietnam War. The precise manner in which this table is decorated is also full of special symbols. According to Lindsey, the white tablecloth draped over the table represents the purity of their response to our country’s call to arms. The empty chair depicts an unknown face, representing no specific soldier, sailor, airman, or marine, but all who are not here. The table itself is round to show that concern for those missing is never ending. The Bible represents faith in a higher power and the pledge to America, founded as one nation under God. The black napkin stands for the emptiness these warriors have left in the hearts of their families and friends. A Purple Heart medal can be pinned to the napkin. A single red rose reminds those of the POWs families and loved ones. A red ribbon represents the love of country, which inspired them to answer the nation’s call. A yellow candle and its yellow ribbon symbolize the everlasting hope for a joyous reunion with those yet accounted for. The slices of lemon on the bread plate remind all of their bitter fate. The salt upon the bread plate represent the tears of their families. And the wine glass, turned upside down, reminds all that these distinguished comrades cannot be with friends and family to drink a toast or join in such ceremonies. Anthony Benn, right, of the United Veterans Motorcycle Club, assisted by club president Fred Lindsay, raises a new POW/MIA flag in Houlton’s Monument Park Sunday afternoon during a special ceremony.